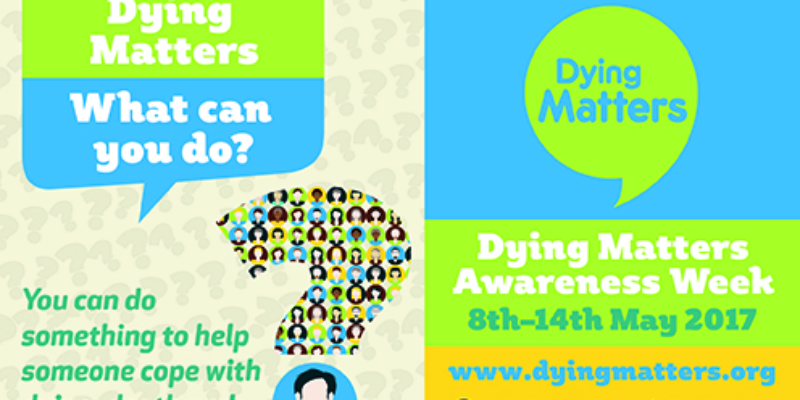 The annual Dying Matters Awareness Week is to take place between 8-14th May 2017. This is put on by a coalition of organisations known as Dying Matters, led by the National Council for Palliative Care. There are events around the country aimed at encouraging people to talk about dying, death and bereavement. Last year I attended a local Death Cafe, a pop-up shop run by volunteers, a place to drink tea, eat cake and talk about dying. What is missing from the long list of possible activities that local groups might stage is the idea of planning in advance for future care needs – Advance Statements of preferences and wishes, Advance Decisions to refuse treatment, Living Wills. Perhaps this is considered a step too far for most attendees, for what would be their first occasion to address end-of-life issues. However, making a Living Will is a practical action in the face of inevitable uncertainty, an opportunity that should be promoted, not disregarded.